Sometimes when you need a dental implant, your jaw may not have enough bone to support the device. In such cases, Dr. Leonid Levit performs bone grafts to prepare his patients for dental implants at both Levit Dental in the Brighton Beach neighborhood of Brooklyn, New York, and Kensington Dental, located in the Kensington neighborhood. If you’ve experienced tooth loss, call or book an appointment online with Dr. Levit to see if a bone graft will improve your dental health. A bone graft involves taking bone tissue from one part of your body and grafting it to another part. Dr. Levit uses this procedure to add bone tissue to your jaw to ensure it’s strong enough to support an implant and withstand the pressure exerted when you chew. The hip is a common area for bone tissue to be harvested. However, artificial tissue grafts are becoming more commonplace. The roots of your teeth provide stimulation to your jaw, which promotes healthy bone growth and development. This helps to keep your jaw strong and able to support your teeth. However, when you lose a tooth or teeth your jaw also loses that stimulation. This leads to bone loss and a general weakening and deterioration of your jaw. This, in turn, can eventually lead to further tooth loss. During a bone graft, Dr. Levit gently folds the gums back from the teeth and cleans the area to ensure it is free of bacteria and plaque. Then, he inserts the bone graft tissue into the area and closes the gum. The grafting procedure usually lasts about an hour. Dr. Levit uses a variety of anesthetic techniques to ensure that the experience is painless. Over a couple of months, the bone tissue should fuse together to rebuild and strengthen your jaw. This process is called osseointegration. Your gums will heal after a few days, but you will still need to take care while brushing and flossing at home as the graft fuses with your jawbone. How should I take care of my teeth following a bone graft? Dr. Levit will give you instructions on how to effectively care for your teeth while recovering from the bone grafting procedure. You may need to use prescription mouthwash and a different, gentle brushing technique. You will also have regular follow-up appointments with Dr. Levit so he can monitor the progress and success of the graft. If you have questions about what to do or what products are needed, Dr. Levit and his team will be happy to answer them. 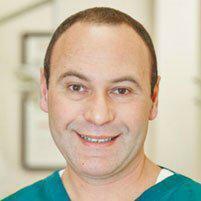 He and his team are dedicated to preserving and protecting your dental health. If you have questions about bone grafts or implants, call or book an appointment online today.